The little-known apparition of Our Lady of Good Success includes some dire prophecies—but its fundamental message is one of hope, says apologist Matthew Arnold. The statue of Our Lady of Good Success at the Convent of the Immaculate Conception in Quito, Ecuador. Southern California apologist Matthew Arnold, author and founder of the Catholic apologetics organization Pro Multis Media, has placed his apostolate under the patronage of Our Lady of Good Success, a little-known apparition of Mary to Mother Mariana de Jesus Torres in Quito, Ecuador in 1594. Arnold, who has hosted radio programs for EWTN and the Radio Maria Network and who is the author of a forthcoming book on traditionalism in the Catholic Church, believes he is called to spread the message of this apparition and encourage devotion to the Blessed Mother under the title of Our Lady of Good Success. Arnold previously worked in the entertainment industry before converting to the Catholic faith two decades ago. As a new convert he was initially uncomfortable with Marian apparitions, but took an interest in the apparitions at Quito, which were approved by the local bishop in 1611. 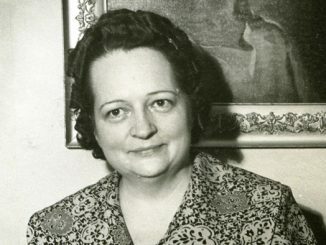 “Even though the apparition had occurred 400 years before, she had many interesting things to say about the Church of our day, such as a crisis of faith and morals in the Church and in the world,” Arnold said. In the interest of spreading the message of Our Lady of Good Success, Arnold makes his presentation on the apparitions free of charge to parishes and other church groups, asking only for travel and lodging expenses. He also has a pamphlet outlining Our Lady’s message at Quito, available for free on his website. Arnold returned in February from a pilgrimage to Quito, which he organized, and discussed his visit and the apparitions that inspired it with CWR. CWR: What are the basic facts of the apparition of Our Lady of Good Success, and why is it important in 2017? Matthew Arnold: In seven apparitions over 40 years beginning in 1594, the Blessed Virgin Mary appeared to Mother Mariana de Jesus Torres of the Convent of the Immaculate Conception in Quito, Ecuador. Our Lady requested a statue be made of her as she appeared to Mother Mariana: holding the infant Jesus in her left arm and a crozier and keys in her right hand. The presence of the Divine Infant was to remind people how powerful Mary is in bringing people to her son—“To Jesus, through Mary.” The keys and crozier were to symbolize Mary’s role as true and perpetual abbess of the convent. The statue resides above the abbess’ chair in the upper choir of the convent church, except when it is displayed above the high altar during the months of May and October and during the yearly novena beginning January 24 leading up to her feast day, February 2, which is also the Feast of the Presentation, or Candlemas. Our Lady also made many prophecies about the colony [Ecuador was under Spanish rule until the 19th century] and the Church, including a worldwide crisis of faith and morals in the Church and society that would begin in the 19th century and extend throughout the 20th century. She warned that there would be an almost total corruption of customs, and more. This is a pretty clear reference to Genesis 3:15 and, I believe, the self-same triumph of Mary’s Immaculate Heart promised centuries later at Fatima. The Ecuadoran apparitions of Our Lady to Mother Mariana have been approved by the local bishop since 1611; the visionary, Mother Mariana, has been named “Servant of God” and the cause for her canonization is on-going; and the convent church was named an archdiocesan Marian sanctuary in 1991, making it an official place of pilgrimage. CWR: In your years of studying the apparitions of Our Lady of Good Success, what have you learned? Arnold: The prophecies of Our Lady of Good Success for our times are quite dire and, unfortunately, quite evident. By virtually every measurable standard, the Catholic Church has been in sharp decline almost everywhere in the world for decades, and many of Mary’s grim prophecies for our times are disturbingly accurate. It is common for various websites to concentrate on this sensational aspect. However, the message of Mary of Good Success is not one of “doom and gloom”! On the contrary, it is a message of great hope and consolation; precisely because Our Lady did not prophesy the end of the world, but a marvelous restoration of what has been lost in the Church and the world. CWR: Did Our Lady of Good Success make any special requests? Arnold: Specifically, she asked that Catholics invoke her under the title of Our Lady of Good Success, because devotion to her under this invocation would be a great consolation to the faithful in these difficult times. She also promised her “good success” to all who would help to spread devotion to her under this title. CWR: How many people joined you on this recent pilgrimage, and what were some highlights of the trip? Arnold: My wife Betty and I were joined by 34 devout souls, including two priests. There were so many blessings that it is not possible to list them all. One thing that stood out was that both priests were able to celebrate Mass daily on the altars of some of the most magnificent baroque churches you can imagine. Another unforgettable moment concerns Mother Mariana. In 1906, her remains, and those of some of the other founding sisters of the convent, were discovered to be incorrupt. They were placed in a marble altar in the lower choir of the convent. They were visible through glass, dressed in their habits and veiled. Since I visited in 2007, Mother Mariana’s remains have been removed to a beautifully gilded glass coffin and her veil removed. Our group was privileged to enter the cloister and venerate her remains. It was a very powerful and emotional experience. As with any pilgrimage dealing with religious houses, one must be adaptable to juggling the schedule a bit. That said, things went extremely well. We had rather more rain than is usual for that time of year in Ecuador, but that wasn’t really a problem, just unexpected. As for pleasant surprises, there was an abundance of foreign pilgrims, including many priests who daily crowded the main and side altars of the Church of Our Lady of Good Success. There were daily processions with a pilgrim statue of Our Lady of Good Success leading up to the annual Rosary of the Dawn procession on February 2, which has swelled to many thousands more people than when I visited 10 years ago. There was even a large group from Poland, with a priest and people wearing traditional garb and carrying banners of Christ the King and first-class relics of St. John Paul II and St. Faustina! CWR: Did you learn anything new or were there any new insights that you had on this pilgrimage? Matthew Arnold: I learned more about the founding of the Conceptionists and the struggles that foundress Beatriz de Silva had to overcome. Ultimately it was the influence of Queen Isabela of Spain that saw them founded. Beatriz de Silva actually only took the habit of the new order on the day she died! The story is very inspirational, and apparently Beatriz de Silva appeared often to Mother Mariana. I also discovered that although the Conceptionists are part of the Franciscan family (not terribly surprising as it was Franciscans who argued for the doctrine of the Immaculate Conception during the 14th century controversies), they followed the Cistercian rule of St. Bernard of Clairvaux, who is my personal patron. CWR: What sort of group would be appropriate for your Our Lady of Good Success presentation, and how can people get in touch with you? Arnold: For information about my presentation and my availability, visit www.matthewarnold.org and send me an e-mail by clicking “contact us.” You can also visit www.maryofgoodsuccess.org. I have given this presentation many, many times all over North America at conferences and parish churches, for prayer groups, Catholic professional organizations, and others. I have presented it for thousands at major Marian conferences, and for a dozen people in a Church basement; for seminarians and professors at seminaries, and for student groups at universities; for women on retreat at a medieval monastery in Bavaria, and for priests and laity at a cathedral church in Australia. If I’m available, and they can get me there and put me up, I’ll go. No group is too small or too far away, and I am confident that the people who attend this presentation are precisely those Our Lady desires to be there. Also, I require no stipend for this presentation, although a “free-will offering” is always gratefully accepted. 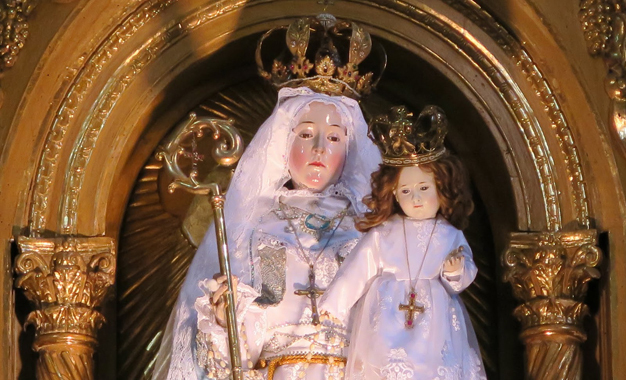 The postulator for the cause of Mother Mariana has pointed out that all the prophecies of Our Lady of Good Success have already been fulfilled, with the exception of the promised restoration. Our Lady promised a marvelous restoration of the Church precisely when “all would seem lost and paralyzed.” So, I suspect things may get worse before they get better. However, what will this restoration look like? How will we recognize it? 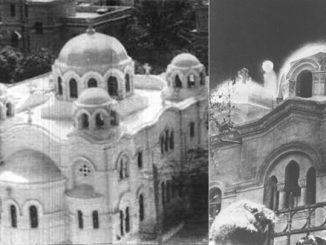 Personally, I think, for those with eyes to see it, there are many signs suggesting that the restoration of the Church is already underway. The number of Catholics who have come out on a weeknight to hear some guy they don’t know talk about an apparition of Mary they’ve never heard of is itself a sign! And I believe we will continue to see signs of the restoration as more and more Catholics embrace their faith, instead of just inheriting it. Studying Mother Mariana’s testimony concerning her conversations with Our Lady it emerges that she wants Catholics today to love and honor Our Lord in the Blessed Sacrament, to be devoted to her and assured of her intercession, and to be faithful to the teaching of the Church. I have gotten so burned out with Marian apparitions. Lately I have heard so much about Fatima and Medjugorje, being the continuation of Fatima. In my opinion these things are so fantastic that one would think the Catholic Church is full of superstition and really has nothing much to offer. I am really tired of them and doubt a great deal concerning these apparitions. 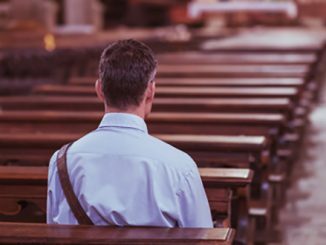 What happened to the new evangelization in the church today? Catholics appear more interested in the sun spinning in the sky, prophesies, secrets and chastisements of mankind than what’s real in the gospels. I know all this brings in a lot of money, but what happened to the merciful God and the good news? I suppose Medjugorje will be approved next and then all catholics will hear about will be secrets, messages and rich visionaries. I used to love the BVM but all this stuff makes me wonder if I even like her anymore. Horace, if any given apparition is true, then its true; and if it’s not, it isn’t the work of the Blessed Virgin. She is still your mother and deserving of your love. Don’t punish her (or yourself) for any misplaced human exuberance on the part of others. Fatima is an approved apparition. Medjugorje isn’t. Yes, I know the squabbles over the third secret can seem distracting from the Gospel message, which in itself is probably by demonic design. If everything we believe is true (and it is) then of course Satan would try to coopt the messages of our Lord and His mother (who he tried unsuccessfully to attack in Revelation, so now he goes after the offspring). Worthy of belief does not require our belief. There is quite a few points here about Our Lady of Good Success that seems questionable to me. For instance, the Blessed Virgin supposedly told Mother Mariana about freemasons, but it isn’t clear to me how that could be described so a convent Mother 400 years ago could understand. I don’t know what primary source material exists to document these messages, and suspect a lot of it could be the creation of well-intentioned believers in the centuries since. But I don’t know that, and actually would be interested in hearing more from Matthew Arnold about this. Peace, and again, my advice for what it is worth is don’t blame the Blessed Virgin for anything her children or her enemies have done. Dear Leslie, You have made a definite statement about Medjugorje, yet, perfectly sensible and believing Catholics , have taken the trouble , often with great hardship to travel to the place, often in desperation, whose very souls are being put to the test or “tried” with painful sickness. Their optimism is sucked out of them with painkillers and drugs and impatient relatives and lack of sleep , etc. . . . so, they make a last ditch pilgrimage to MEDJEGORJE ? IF I was in Heaven and saw such a person, (and Jesus says that He counts the hairs on our head , which is very intimate knowledge, ) I would seek to answer and reward, such sweet faith and prayer with , at least, some real pain alleviation, if not just temporary and boost and reward , such love and friendship from a miserable, in pain, desperate friend. We ARE FRIENDS of Jesus Christ, when we are in the STATE OF GRACE. When this person returns home, and they are pain free, they will spread the news of their CURE , to others , who will in turn , if they are in terrible pain of soul or spirit and /or physical pain, PRAY for HELP to GOD ! who is close to us , always, and especially when we Glorify, Adore and Petition Him. . . so, Medjugorje is as good as any place to be, an effective motivation or inspiration to SEEK OUT THE ONE TRUE GOD /TRINITY and PRAY ! We NEED HOPE . IT IS A FINE VIRTUE to practice. You are ignoring the question that is most important: Are the alleged apparitions at Medjugorje actually Our Lady appearing? I have noticed the number of lies promulgated by Medjugorje fans, claiming, “Oh, it’s really been approved.” “Oh, Pope John Paul II really believed in the apparitions!” (Including quotes that appear nowhere but on pro-Medjugorje sites If he had really said them, it would have been news and widely reported). That’s bad on your part. Everything Mary said is true. This life is temporary. Pray your rosary, live a holy life, go to confession and mass regularly. She leads us to Jesus. If you had a prayer life you wouldn’t feel the way you do about her apparitions. You should thank God for sending us his mother and you should look at your life and how you are living. I know many people who have gone to Fatima & Medjugore who are not obsessed with anything. They wanted bto experience a deeper conversion and closeness with God. You should pray your rosary.